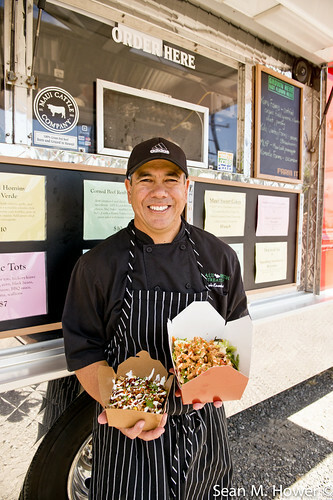 Chef Kyle Kawakami’s Maui Fresh Streatery has probably created more buzz on Facebook and Instagram than any other local food truck. You can find his bright red and green truck can be found at the Shell Station on Ka’ahumanu Avenue across from Maui Beach Hotel. He offers new Maui street cuisine every two weeks, which is part of Kawakami’s inventive farm-to-table strategy. 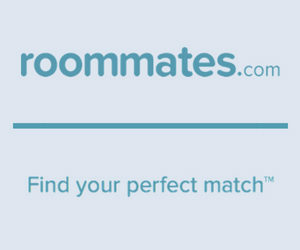 His location at the Shell station is part of a partnership to attract more customers to their locations. He said they tried the Pu’unene and Kamehameha corner, but the recycling and car wash there made it too busy. They’re open Monday, Wednesday and Friday from 11am to 2pm, and have created such a following that it’s not unusual for them to run out of food. There are four dishes daily: a fancy french fry dish, salad entree, sandwich and hot entree. Most times, you can see what they have on the menu by a visit to the Maui Fresh Streatery Facebook page, which is updated nearly every day. Though Kawakami graduated from the Maui Culinary Academy, he wasn’t a typical student. When he began he was managing a car rental company, having already gotten a degree at UH Manoa. During his time at the school, he got a job with Chef Tylun Pang at The Fairmont Kea Lani. After graduation, he was offered a teaching post there, and taught on Maui for nearly a decade. 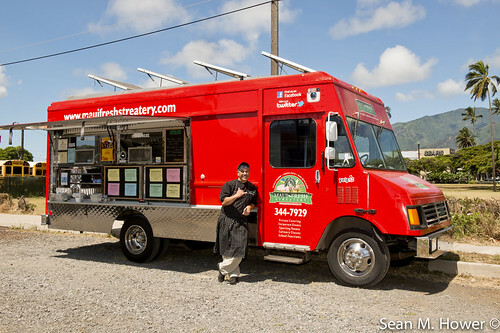 His next venture was the Maui Fresh Streatery Food Truck. Of course, Kawakami had been exposed to lunch wagons in college, but these trucks were very different. You can see the results in what he’s done with his newest toy, a smoker he got for Father’s Day. 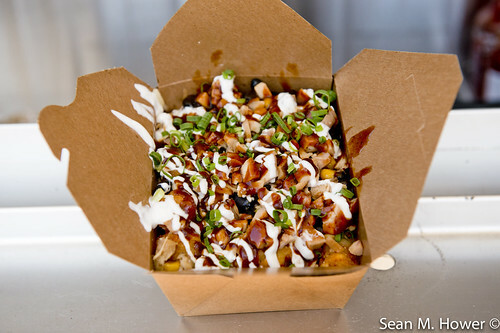 With it he hickory-kiawe smoked some chicken and created something he calls “Tupac Tots:” chopped, smoked chicken, corn, black beans, cheddar and jack cheese, barbecue sauce, citrus crema and scallions, all perched atop a bed of crispy tater tots. His menu also offers the Reuben Sando–corned beef, sauerkraut, Thousand Island dressing, Swiss cheese and S&J Bakery marbled rye. 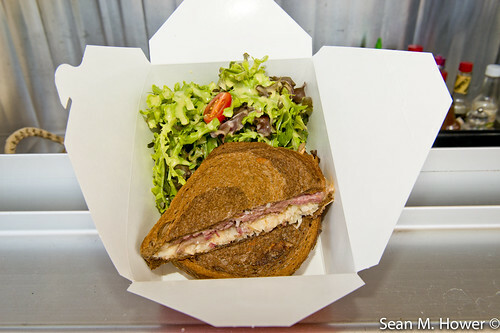 The sandwich comes with a side of Kumu Farms organic greens. The Sando did so well that it sold out in the first week, and he didn’t have any more corned beef. The sando changed to a Maui Cattle Company tri tip the next week. 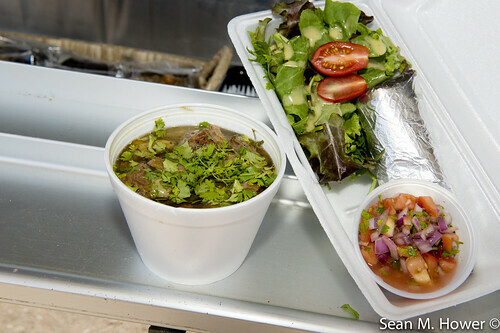 The menu’s hot dish is a Pork and Hominy Verde with salad and tortilla. 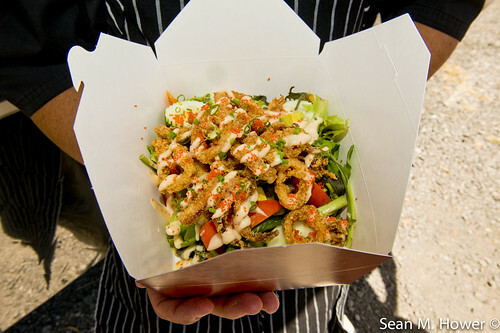 And the popular calamari and papaya salad features Kumu Farms non-GMO papaya, tobiko and an aioli drizzle. Maui Fresh Streatery is also a part of the local nonprofit community, and helps schools in Central Maui get up to speed with their own school gardens. Kawakami knows the concept of the food truck and its rotating menu can be new for his Central Maui customers, but he says he’s in it for the long haul.